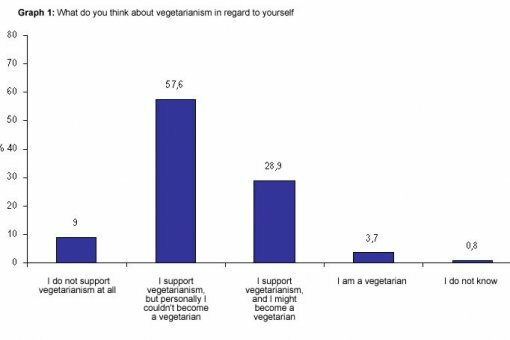 According to an independent official poll, done by Spem Communication Group Zagreb, 86.5% citizens of Croatia support vegetarianism, of which 28.9% have stated that they might become vegetarians themselves. 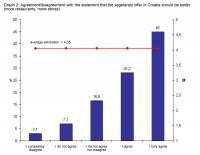 The same poll revealed that there are as many as 3.7% vegetarians in Croatia and that their number is steadily growing. With respect to these results, it is hardly surprising that 73.2% of citizens are of the opinion that the vegetarian offer in Croatia should be improved. 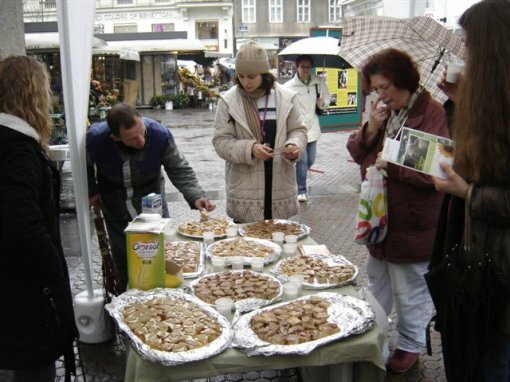 This number does not include foreign tourists, which should not be neglected, regarding the fact that recent research has shown that one in ten citizens of Germany adheres to a non-violent diet. 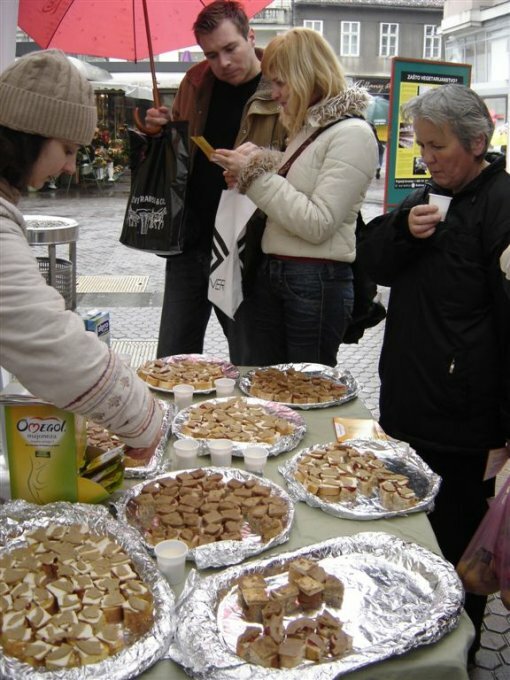 Even though the appeal of Animals Friends to improve the vegetarian offer, which has been joined by a large number of citizens who have signed petitions and sent letters, has met with a positive response on the side of manufacturers, import companies, and merchant chains conscious of the need to develop a line of products of vegetarian origin, Croatia still lags considerably behind the states of European Union concerning both the price and the variety of its vegetarian offer. Since 1985, the Meatout Day has been marked on March 20, the first day of spring, which symbolizes rebirth and renewal of nature. 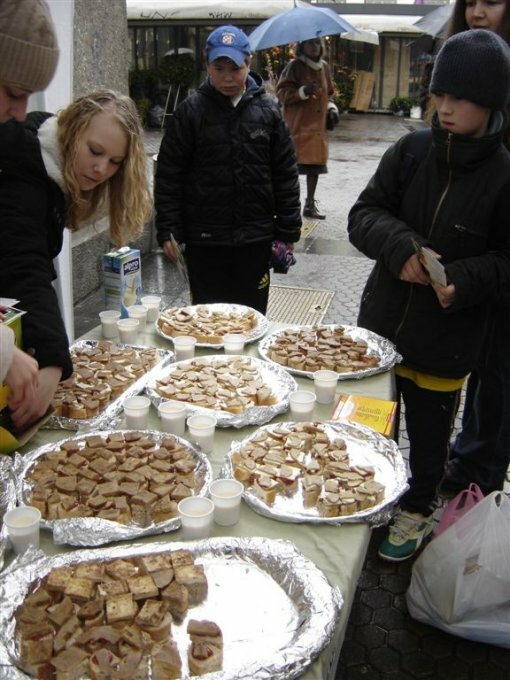 Its aim is to assist the consumer in developing a healthier diet, based on vegetables, fruit, legumes, and cereals, therefore ethically and ecologically acceptable. Animals Friends invites all citizens to join the Meatout Day by switching to a non-violent diet. 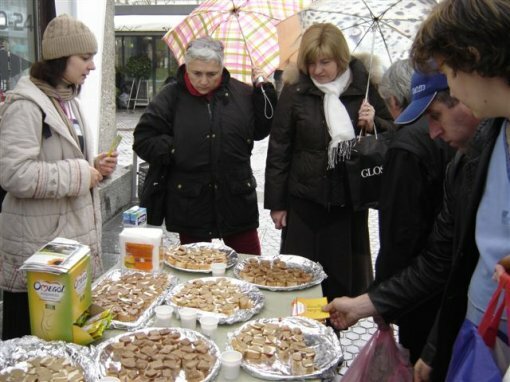 On Saturday, March 24, at 12 noon there will be an info stall on the corner of Varsavska ulica and Petar Preradovic Square, where citizens will have the opportunity of tasting various vegetarian specialties. The leading organizations promoting healthy living invite to an increased consummation of victuals of vegetarian origin. The consumer must have an access to the information on the possibilities of better and healthier living for all humans, without harming animals and environment. Vegetarian diet is wholesome and helps preventing or curing diseases that kill most people today – cardiac arrest, stroke, various cancers, diabetes, etc. 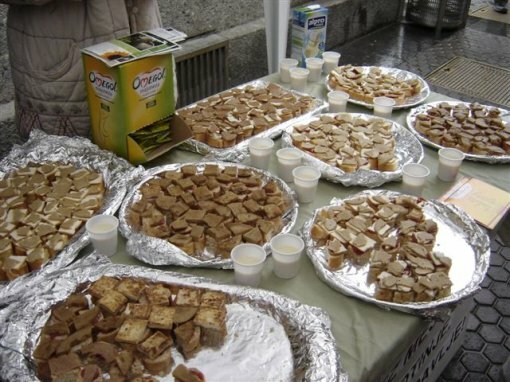 This year, the Meatout Day will place a special accent on the huge impact of meat industry on global warming and the importance of switching to the vegetarian diet on account of this urgent problem. Billions of hens, turkeys, pigs, and cows, crammed together on factory farms, produce enormous amounts of methane in their bowels and excrements. Scientists have established that each molecule of methane arrests warmth in our atmosphere more than 20 times more efficiently than carbon dioxide. A recent report of EarthSave International, based on the research done by some of the leading world climatologists, has shown that embracing vegetarian diet is more efficient in arresting the global warming process than the efforts of decreasing greenhouse gas emissions from cars of power plants.